Indie Developer Serenity Forge and Publisher Graffiti Games are happy to announce that the award winning game The King’s Bird is taking flight on home consoles come February 12th, 2019. It will be available on Nintendo Switch, PS4 and Xbox One for $19.99. Vancouver and Boulder, Colo. – January 31, 2019 – Console gamers can soon take to the skies to enjoy their turn with award-winning gameThe King’s Birdfrom Serenity Forge and publisher Graffiti Games, now that the platformer heads to console on February 12. 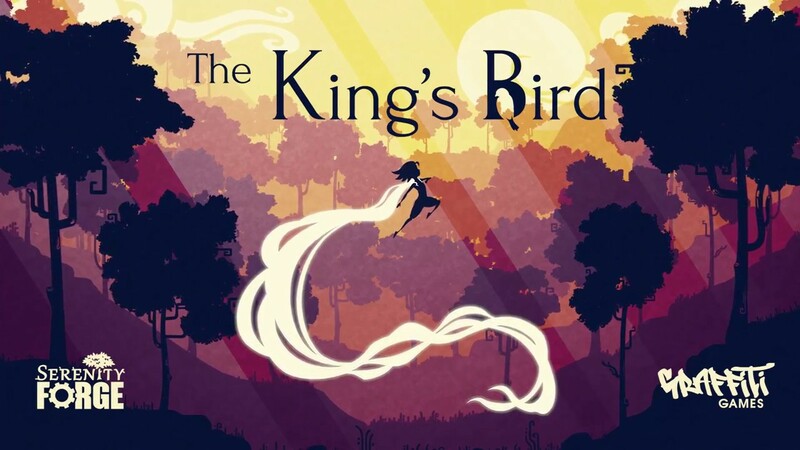 Launching on Xbox One, PlayStation®4 and Nintendo™ Switch for $19.99 USD, The King’s Bird is a momentum-driven, precision-platforming game that has players use aerial movements to seamlessly dash, glide and flow, with precision and grace, through a mysterious world.